"The strength and core values of our family are inherent in the foundation of our daily business goals and the longstanding partnerships we continue to earn. From design to delivery, The ConneXtion Team promises to support our clients with a customizable complement of integrated eCommerce and fulfillment solutions." 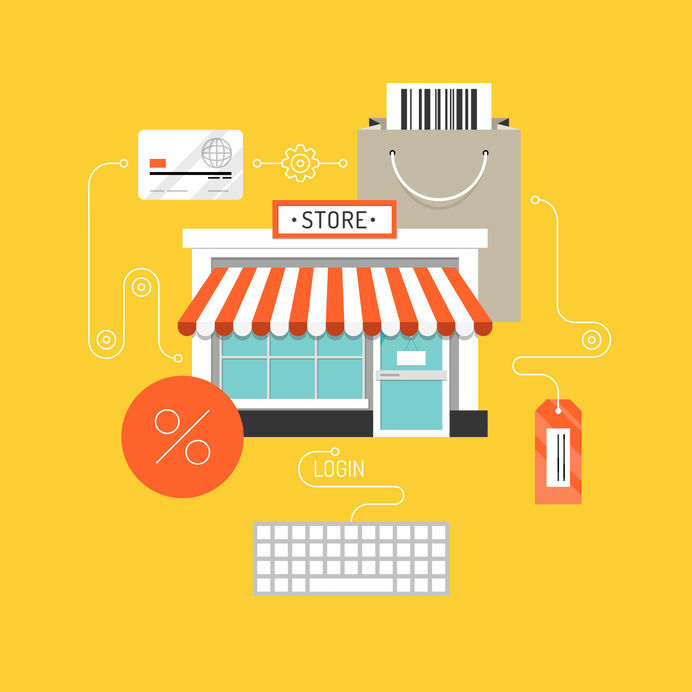 Through your own website, The ConneXtion’s integrated storefront creates opportunities to build an improved user experience (UX) with your audience by introducing new products and ticketing options into the purchasing process. From branded wearables and merchandise (i.e., sweatshirts, tee shirts, hats, bandanas, sunglasses, flip flops, drinkware, totes and bags, and more...), festival and event tickets, exclusive VIP opportunities and passes, loyalty/membership rewards, group ticket sales, or other fun ways to create relevant and authentic engagement, The ConneXtion's Account Management Team will work with you throughout the selection, design, and manufacturing process, to develop a full line of innovative products for your unique storefront. The ConneXtion offers ongoing engagement with your audience. 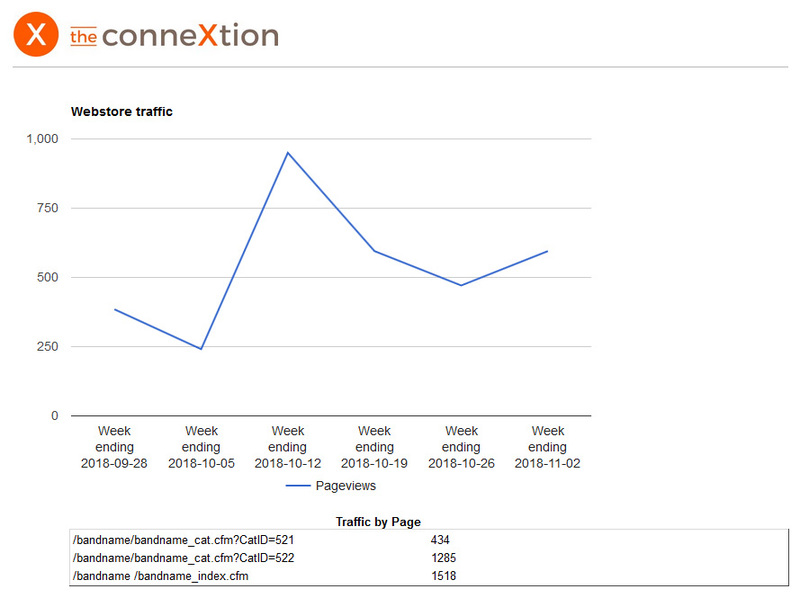 As an added value to promote future releases, festivals, special events, concerts, or other experiences, we collect user data from your sales activity to assist you with remarketing. 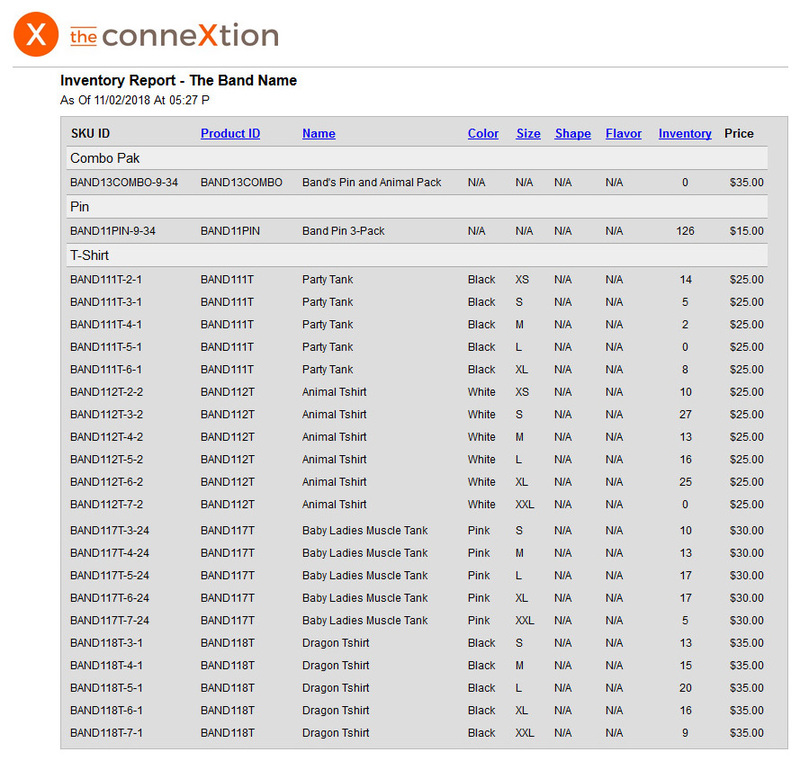 This data allows you insight to your audience, management and forecasting of your inventory, strategies for pre- and post-event merchandise sales and advance ticket sales, while providing you with improved predictive analytics on attendees and merchandise inventory management. 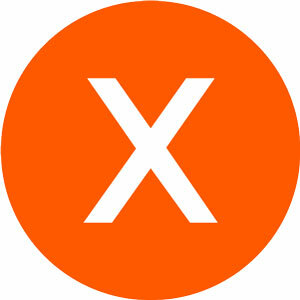 The ConneXtion's Account Management Team will assist you in campaign development. 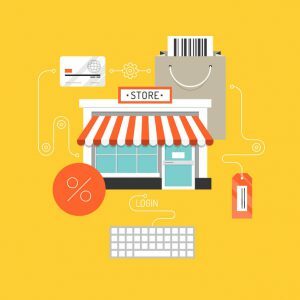 Your unique storefront will be supported by our proven technology and proactive fulfillment infrastructure. 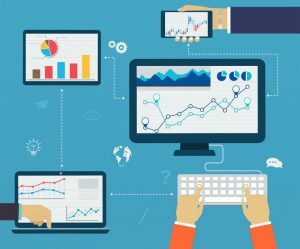 Through these authenticated methodologies our clients will remain our core focus receiving exclusive access to our integrated team of account sales and marketing professionals, reporting and analytics detail, and efficient operations and customer service support. It all comes down to this... Combining six decades of expertise, our #1 goal is to build awareness and supply the infrastructure to bridge our clients with their community. 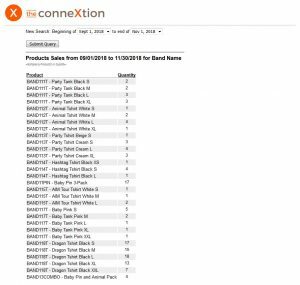 The ConneXtion's Detailed Sales Report gives clients a critical look at important online customer sales activity to-date. 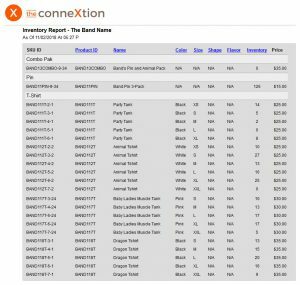 The ConneXtion's Customer Report tracks account activity, when they buy, what they buy, and collects email addresses. 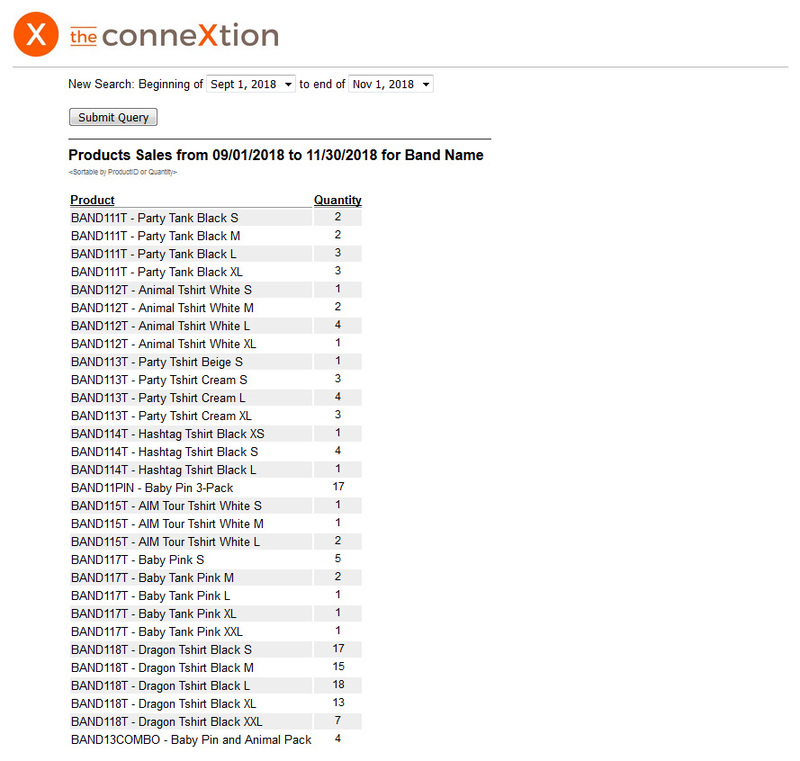 The ConneXtion's Inventory Management Report tracks your store's products so you know when it's time to move out slow sellers and bring in new merch. 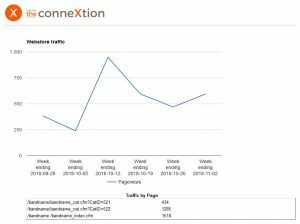 The ConneXtion's Storefront Traffic Report keeps track of the number of visitors to your store and visits to each page with views of one or multiple storefronts.